I am very glad that this book is now accessible to English-speaking scientists. 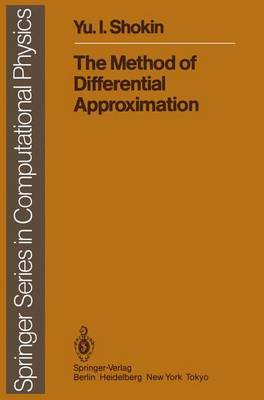 During the three years following the publication of the original Russian edition, the method of differential approximation has been rapidly expanded and unfortunately I was unable to incorporate into the English edition all of the material which whould have reflected its present state of development. Nevertheless, a considerable amount of recently obtained results have been added and the bibliography has been enlarged accordingly, so that the English edition is one third longer than the Russian original. Mathematical rigorousness is a basic feature of this monograph. The reader should therefore be familiar with the theory of partial differential equations and difference equations. Some knowledge of group theory as applied to problems in physics, especially the theory of Lie groups, would also be useful. The treatment of the approximation of gas dynamic equations focuses on the question of how to characterize the typical features of difference equations on the basis of the related differential approximation, which can be discussed using the fully developed theory of partial differential equations.